South Tyrol, tucked at the top of Italy near the Austrian border, is an off-the-beaten-path destination that seems custom-made for active families. This scenic province is framed by the Alps to the north and beautiful wine country to the south. In between lie charming villages, towering mountain peaks and hundreds of castles. And you can reach it all from the region’s capital, Bolzano. From castles to vineyards to mountain peaks, South Tyrol has it all. Bolzano, or Bozen in German, is a convenient home base for exploring this diverse and family-friendly region. Twelve minutes from the city center is a family retreat loved by generations: Parkhotel Holzner, located on a plateau high above Bolzano in the charming village of Oberbozen. This is the kind of place where families return year after year to relax and play together. The long list of kid-friendly amenities includes indoor and outdoor pools, playrooms and playgrounds, tennis and a stargazing tower with a retractable roof. Rooms and suites come in a variety of family-friendly configurations, and the hotel has two onsite restaurants and a wine bar. Even if you don’t stay here, it’s worth a trip up the mountain to dine on the patio and take in the breathtaking views of Dolomite Mountains and the valley below. Although it would be tempting never to leave the comfort of this resort, adventure awaits right outside the front door. A full 200 km of hiking trails wind around Renon Mountain; keep an eye out for the otherworldly earth pyramids. For winter guests, skiing is close by at Rittner Horn. 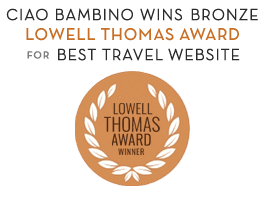 Want help planning a family vacation to South Tyrol and the Dolomites? It’s easy to venture into Bolzano from Parkhotel Holzner. The Funivia Renon cable car, with departures every few minutes, is right outside of the hotel and drops passengers off a few blocks from the historic town center. The views of the valleys, mountains, vineyards and earth pyramids make this an exciting ride. Bolzano’s compact center has a lot to offer: Window-shop along the covered arcade; stroll through one of the colorful open-air markets; visit the cathedral and its 15th-century frescoes; or grab a gelato and stroll along the river. A trip to Bolzano isn’t complete without meeting its most famous resident, Otzi the Iceman, at the South Tyrol Museum of Archaeology. At 5,300 years old, this Stone Age man is one of the oldest mummies in the world. The interesting, nicely designed museum focuses on Otzi and the well-preserved items found in his possession. During the summer months, the museum offers a family room where complimentary childcare is available. Download the museum app for kids before your visit. About 35 minutes by car from Bolzano is the spa resort town of Merano, home of the Trauttmansdorff Castle and Gardens. This award-winning botanical garden is enjoyable for both children and their parents. Kids will appreciate the suspended adventure bridge, the multimedia show in a grotto, the hands-on experience stations and the botanical underworld exhibit. There are also a variety of animals living in the gardens, including some exotic specimens in the Glasshouse terrarium. Special events for families are scheduled throughout the summer months. Trauttmansdorff Castle, within the gardens, is home to the Tourism Museum, or Touriseum. This small museum covering 200 years of tourism in South Tyrol is a delightful surprise. While children may not appreciate all of the information, there are exhibits that are sure to capture their interest. Don’t miss the world’s largest wooden pinball machine on the top floor — you’re going to want to save a good chunk of time to try your hand at mastering this game. Terme Merano aquatic center is fun for the whole family. After an afternoon of hiking through the gardens, head into Merano to cool off at the Terme Merano thermal baths. This enormous pool complex is sure to be a hit with kids of all ages. There are 25 pools to choose from, some indoors and some outdoors, plus a large grassy area for playing. Terme Merano is open 365 days a year, with 15 pools that are open year-round. Parents who want to indulge in the spa services can take advantage of the supervised child care center, free with admission. Less than an hour north of Bolzano are the Dolomite mountains, a UNESCO world heritage site. Stop in the charming village of Ortisei and catch the aerial tram to the Alpe di Siusi, Europe’s largest alpine meadow. There are family-friendly hikes, mountain biking trails and carriage rides crisscrossing the meadow. Editor’s Note: Denise experienced South Tyrol as part of a media trip. As always, all opinions are our own on Ciao Bambino. Photos by Denise Smith.